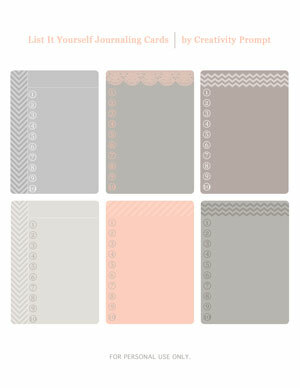 Today I am sharing a set of FREE ‘mist-ical’ journaling cards with you guys (for personal use only). I was inspired to make these journaling cards after watching this video tutorial by Jessica Sprague. In this video Jessica teaches how to use Nisa Fiin’s Splendid Fiins digital stencils, called ‘Knock-Outs’. 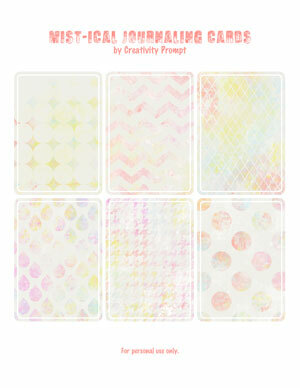 For this set of printable journaling cards I used patterns that I created myself. As I got inspired by Jessica’s video, I will not post a tutorial on how to make a digital stencil. I don’t think it would be fair. If you feel inspired by this technique then, by all means, grab some of Nisa’s stencils and play with them. Her stencils are very affordable and their pattern are much cooler than my “primitive” ones. Plus Jessica offers free samples to play with and real ‘mist’ brushes – not the make shift ones I used from Photoshop’s presets. 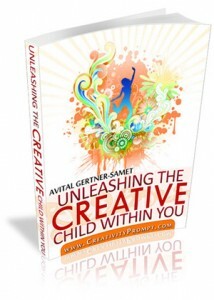 Today I am sharing a set of FREE ‘Ready? Steady. 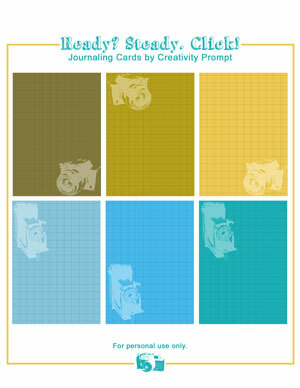 Click!’ journaling cards with you guys (for personal use only). Here’s the link to the fabulous Photoshop camera brushes I used. 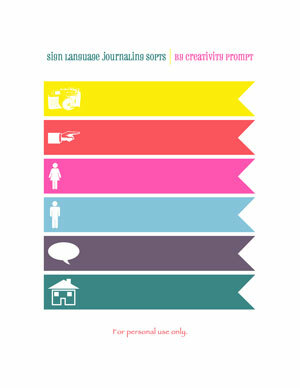 Today I am sharing a set of FREE ‘Sign Language’ journaling spots with you guys (for personal use only). Say it in English. Say it in French. Say it in Hebrew, in German, in Spanish, in Italian, in Chinese, in Japanese, in Portugese, in Arabic, in Urdu. Say it in any language. Just say it! Tell your story. In what language do you tell your stories? 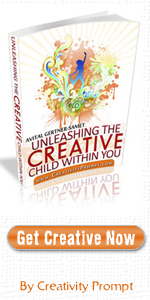 Please leave a comment and share. 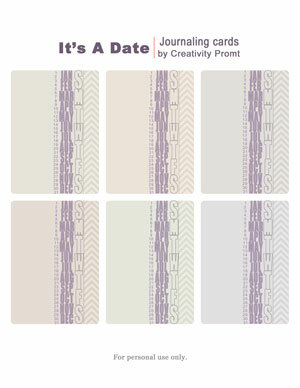 Today, by popular demand, I am sharing yet another set of FREE ‘It’s A Date’ journaling cards with you guys (for personal use only). 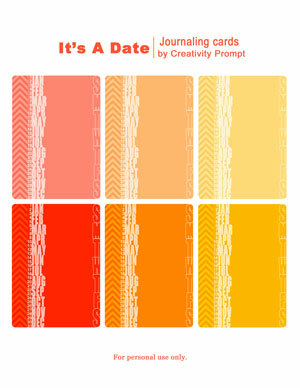 You may find ‘It’s A Date’ vol. 1 here. 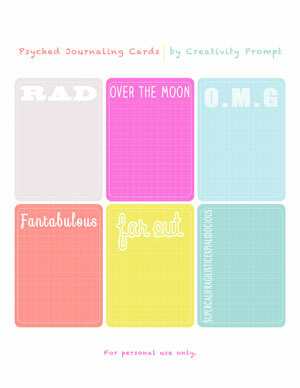 Today I am sharing a set of FREE Psyched journaling cards with you guys (for personal use only). These journaling cards are for all these memories that you cannot wait to perpetuate on paper – either in your Smash books, your Project Life albums, your art journals or everyday scrapbooks. You know which memories I am talking about. Right? 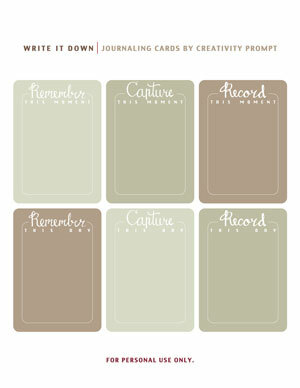 Today I am sharing a set of FREE ‘Write It Down’ journaling cards with you guys (for personal use only). 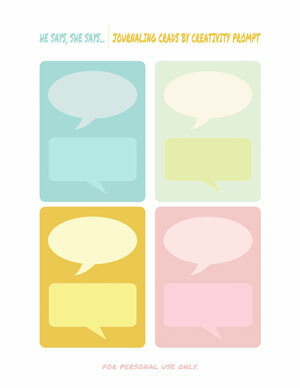 Today I am sharing a set of FREE he says, she says journaling cards with you guys (for personal use only). 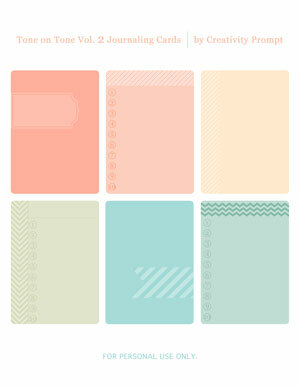 Today I am sharing a set of FREE It’s A Date journaling cards with you guys (for personal use only).